Over the time hard drive gets cluttered with unwanted and hidden system files which seriously undermine the amount space available to the users. 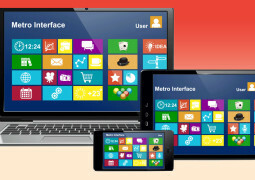 Here are some of the smart steps which will help in improving the amount of hard drive space on the Windows PC. Windows offers a simple and elegant way to uninstall the unwanted patches of install from the Windows Update. Most of the people care about uninstalling the unwanted updates which tends to eat-up a large amount of hard drive space over the time. Microsoft has boosted the capability of the Windows 7 by releasing an update which allows users to erase the Windows Update files using Windows Disk Cleanup tool. 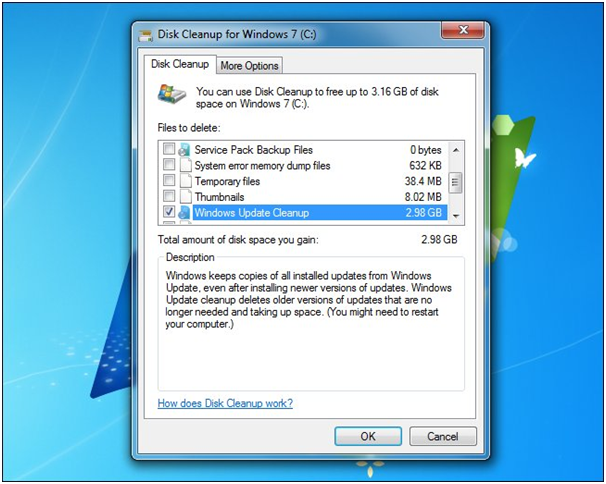 Open Disk Cleanup, click on ‘Clean up system files’, check the Windows Update Cleanup option and give a click on OK.
Windows PC comes with a recovery partition which allows users to rest the computer to its factory default state within a short time. The recovery partition helps in reinstalling Windows and helps to Refresh and Reset the PC features. 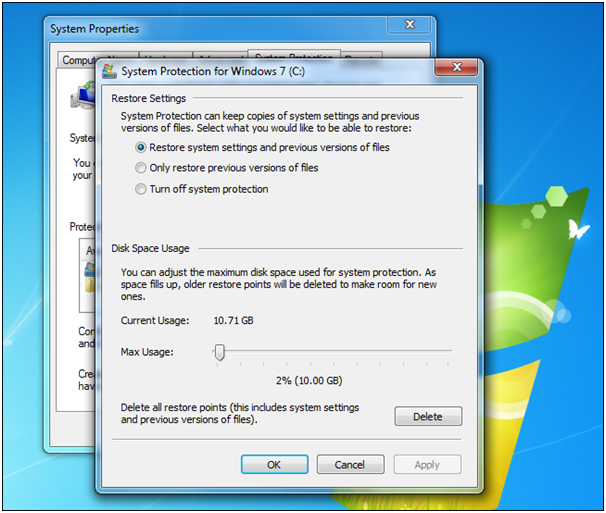 These recovery partitions gradually take up a huge amount of space as they contain the complete system image in itself. Windows 8 now offers a great way of creating easier recovery directly to a removable media rather than storing it on the hard drive. In order to create a system image insert a removable media and follow these steps. On Windows 7 users can simply delete the recovery partition through using a parathion manager but make sure you make a copy of system image on a removable media before erasing recovery partition. Windows now cotain a modern boot up system which places the computer into hibernate mode whenever a user shuts down the computer. Hibernation offers a quick start feature but in doing so Window ends up saving the content of the RAM to the hibernation file before shutting down the computer. During the boot up it reads the content from the RAM and restores the computer to its earlier state but this results in using 75% of the size of the RAM. You can disable the hibernation feature by deleting the hibernation file. Go to the command prompt and disable the ‘hibernate’ feature by entering the below code followed by hitting the Enter key. 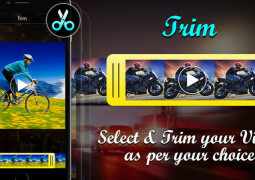 Paging file also takes up a lot of space over the time and users can shrink or disable it by following the below method. Windows can use as much as 10 GB of the hard drive space in order to store System Restore snapshots which help in restoring the computer to earlier state if you ever run into some problems. If you are running low on hard drive space then consider reducing the amount of space allocated to the system restore or simply disable it entirely for better. 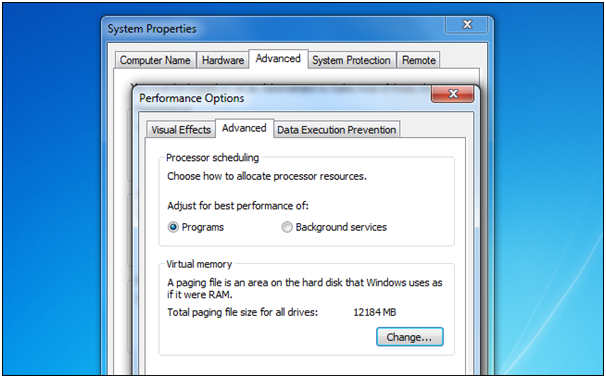 You can check out the system restore feature by going to the System properties and can make changes as per your need.